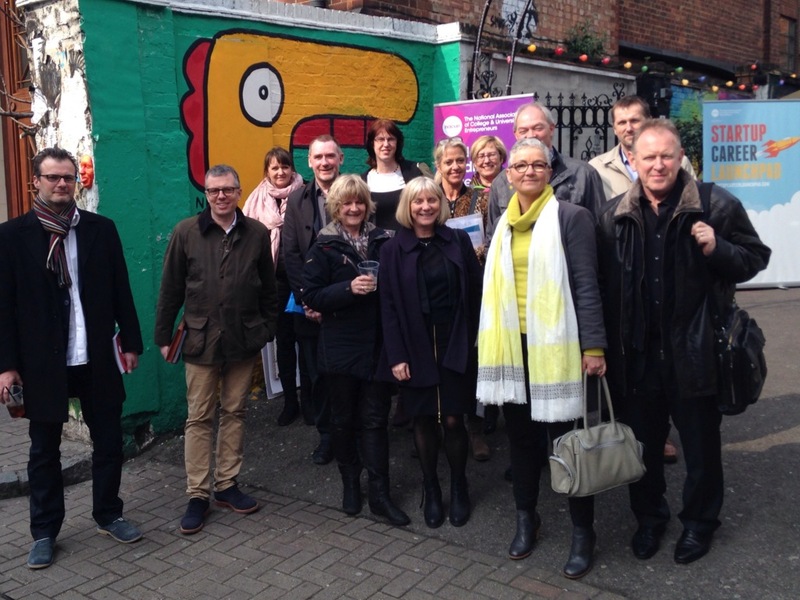 Last week a group from Via University in Denmark came to tour London and the Shoerditch area. The university has eight campuses across Denmark and is Denmark’s largest university college with 17.000 students. The group was comprised of many important figures within Via University and were hosted by The National Council of Enterprise Education. The National Centre for Entrepreneurship in Education (NCEE) based on Coventry University Technology Park was formerly trading as the National Council for Graduate Entrepreneurship and was created in 2004. NCEE collaborates with many partners and organisations across the UK and internationally. It has the aims of raising the profile of entrepreneurship in education across the FE and HE sectors; stimulating cultural change in institutions to create environments in which entrepreneurial aspiration and endeavor can flourish while providing entrepreneurship opportunities within the educational experience; and supporting the option of starting a business or a new venture as a future life choice amongst students, graduates and staff. The purpose of the visit was to tour and view several of the incubators and enterprise programs in the area so that they may expand their very own enterprise program in Denmark. This is because the UK, especially London, is a popular hub for startups, incubators, and enterprise programs. The group from Via felt it was the best possible location to see and learn about the unique community in Shoerditch and what goes on within programs like Accelerator or London Met Enterprise. During their visit they were given a full tour of the building. During this time the team provided the enterprise provision blueprint and talked to them about creating opportunities here at Accelerator and London Met. The Enterprise Team hopes all the people from Via University enjoyed their trip to London and their tour of Accelerator’s and London Met Enterprise’s facilities. Everyone here also hopes they took away some good information from their visit and wishes them the best of luck as they expand their enterprise program across all of their campuses.